Nails & wire coils embedded in a pearl white resin. 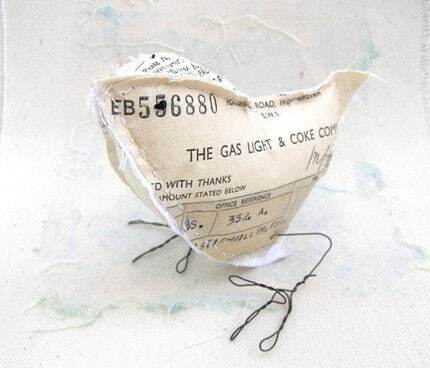 This is needlefelted! She said that she looked at a Chinese Dragon figurine for inspiration. 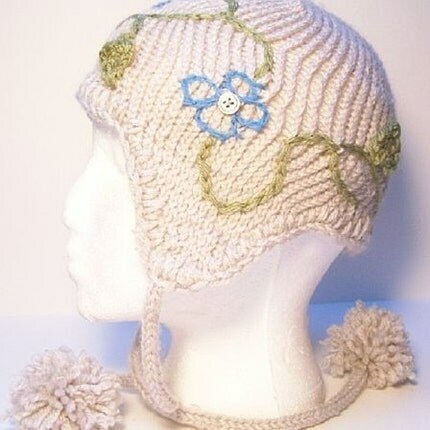 This handknit aviatrix hat is adorned with stitched on travelling vines, leaves and flowers with button centers. 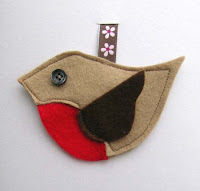 Robin Card - Cute little robin tree decoration dancing on a christmas card! 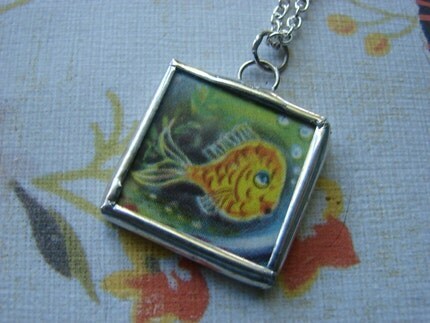 This is so detailed and so small! It's all needlefelted. 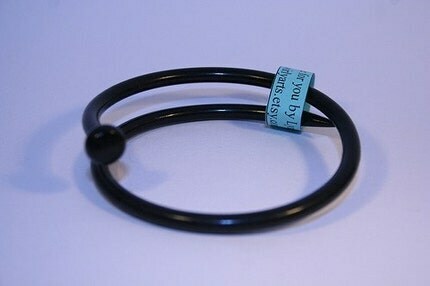 Another swirlyarts knitting needle bracelet - this time in black. 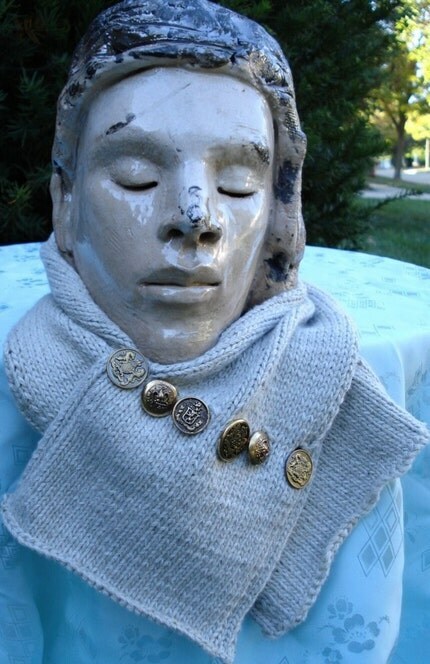 Great idea for yourself or as a present for the knitter in your life! Isn't this great? 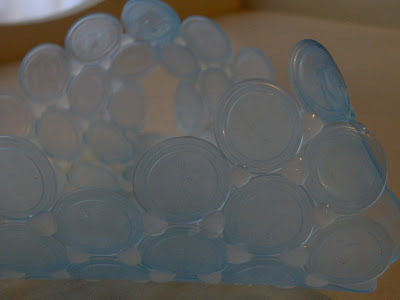 A bowl made from the little plastic inserts you find inside bottle caps!! This would make a great fruit bowl. Do you love donuts or know someone who does? Well they are sure to love this adorable donut neklace. Each donut is handmade with love just for you. Nothing can be better than chocolate donuts with sprinkles with a nice cup of milk or coffee. Sweet and tasty for the eyes just don't take a bite.